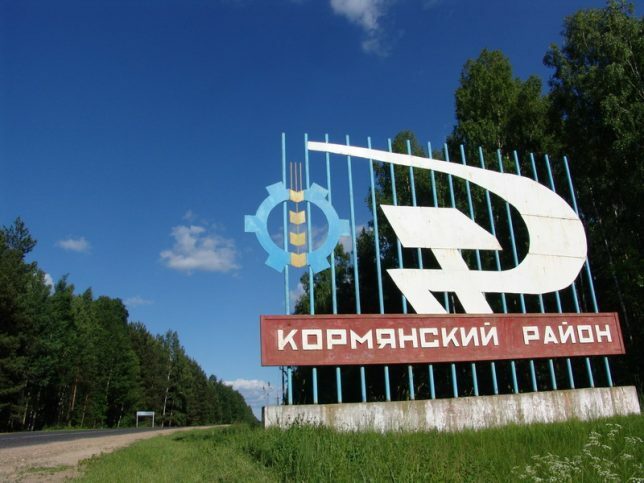 In Soviet Russia, town welcome you… with retro-futuristic city limits signs that promised more than the blustery, blustering Cold War-era USSR could deliver. 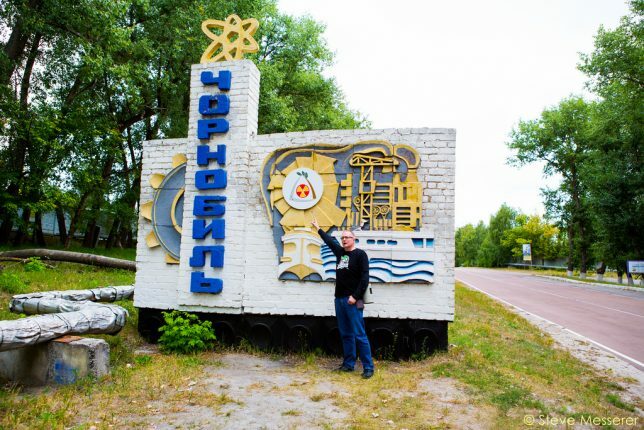 The welcome is, er, radiant in Pripyat, the now-abandoned city established in 1970 to house support staff and workers at the nearby Chernobyl Nuclear Power Plant. 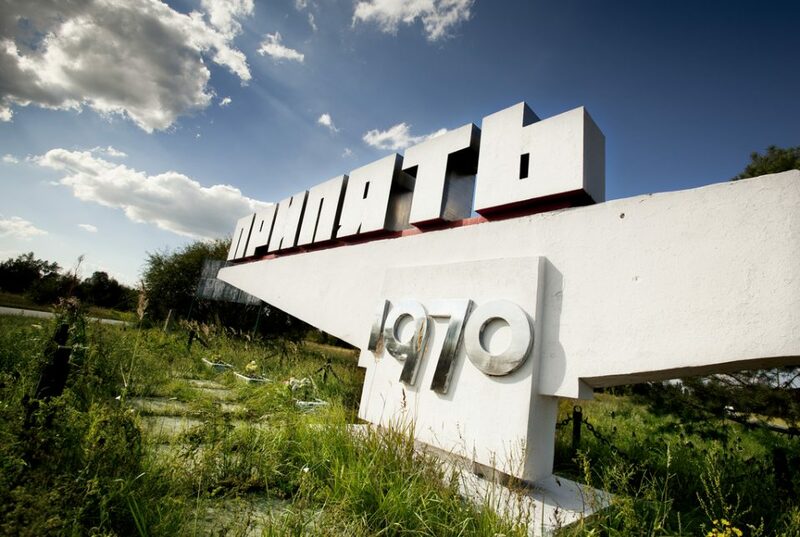 Pripyat’s population grew to almost 50,000 by 1986, plummeting to zero when the town was evacuated the day after the plant’s No.4 reactor exploded. 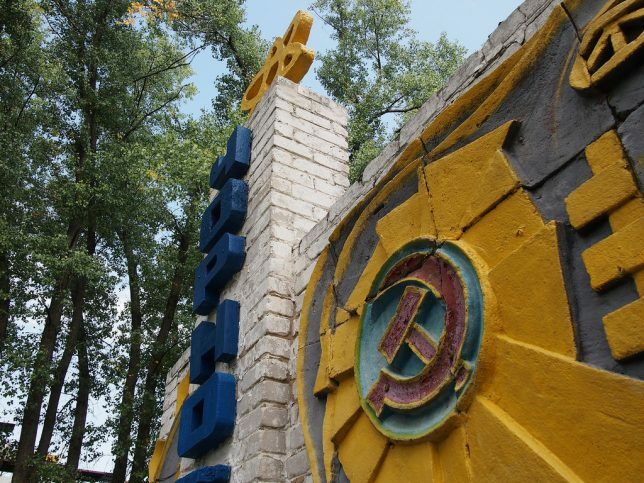 Flickr user jesper karstensen snapped our lead image of Pripyat’s forward-looking sign on August 12th of 2013. Flickr user Stanislav (LieErr) captured a view of the sign from a disturbingly different angle five days later on August 17th. 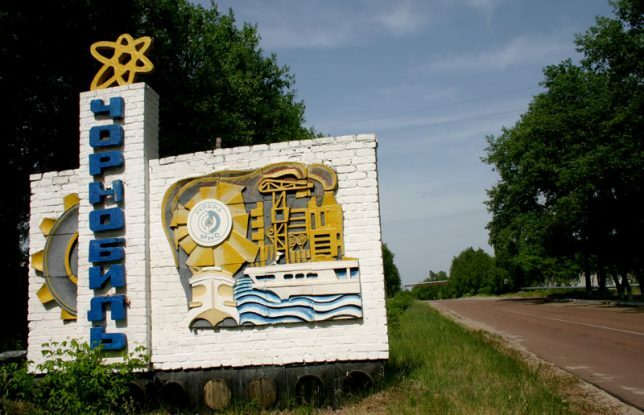 The city of Chernobyl is often confused with Pripyat though the former’s history dates back to the year 1193. Situated just 9 miles from the nuclear power plant whose name it shares, the city was home to about 14,000 people before its evacuation in 1986 – only 704 live there today. 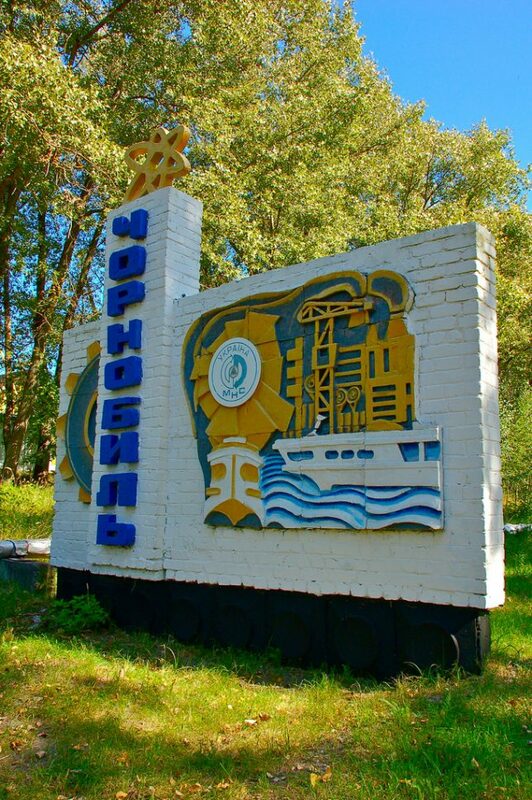 The city’s sign was erected in the Soviet era and originally featured a prominent hammer-and-sickle logo as seen in the guide book image at top. 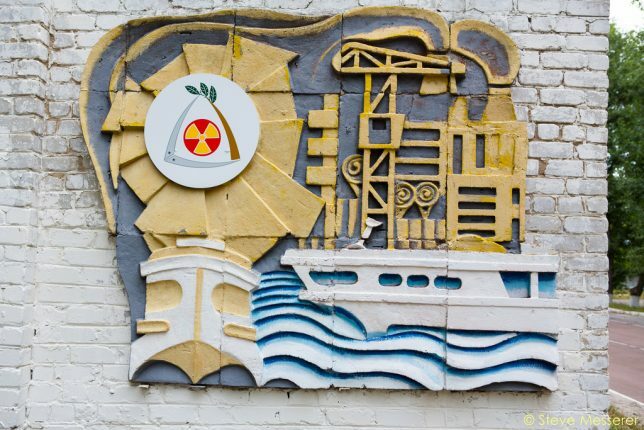 Sometime after the fall of the USSR, the logo was covered by a roundel displaying the symbol of the MHC – the Ukrainian Ministry of Emergency Situations. Photographs taken after 2010-11 show a modified radioactivity symbol fitted in place of the MHC roundel, as seen in Flickr user Steve Messerer‘s images above. 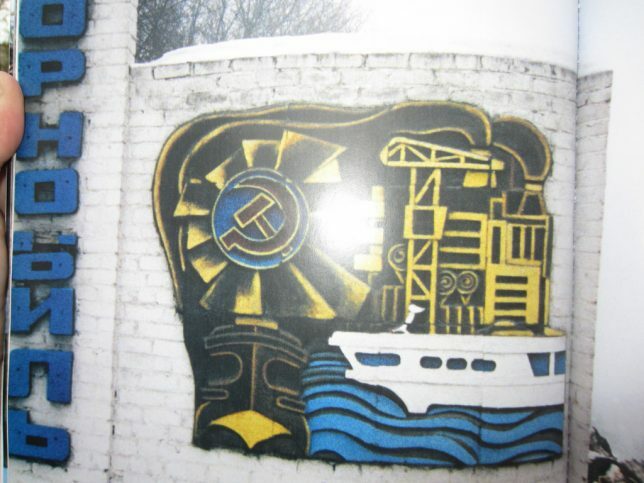 Several years later, perhaps due to the current Russia-Ukraine conflict, the radioactivity logo was removed revealing the original embossed soviet logo. The more things change, the more they stay the same, eh comrades? 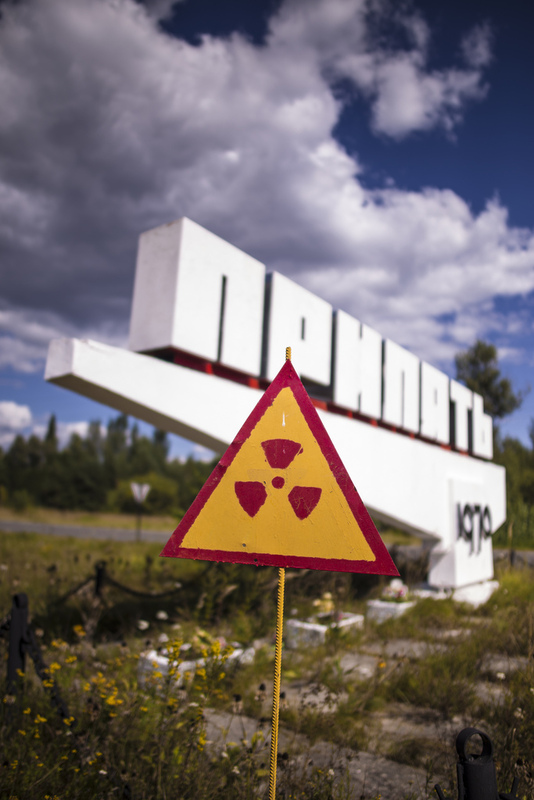 The so-called Chernobyl Disaster spewed radioactive fallout over a wide swath of central Europe and led to the establishment of an Exclusion Zone that spread across the Ukraine’s northern border into neighboring Belarus. 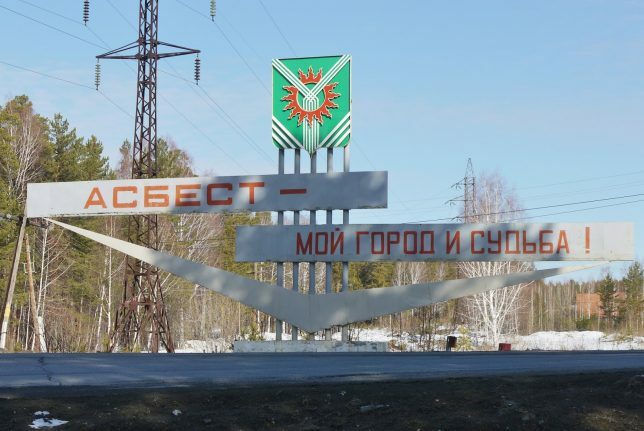 Flickr user Ilya Kuzniatsou (belarusian) snapped the above photo of a city sign welcoming visitors to an evacuated town. Call it passive-aggression, post-Soviet style. 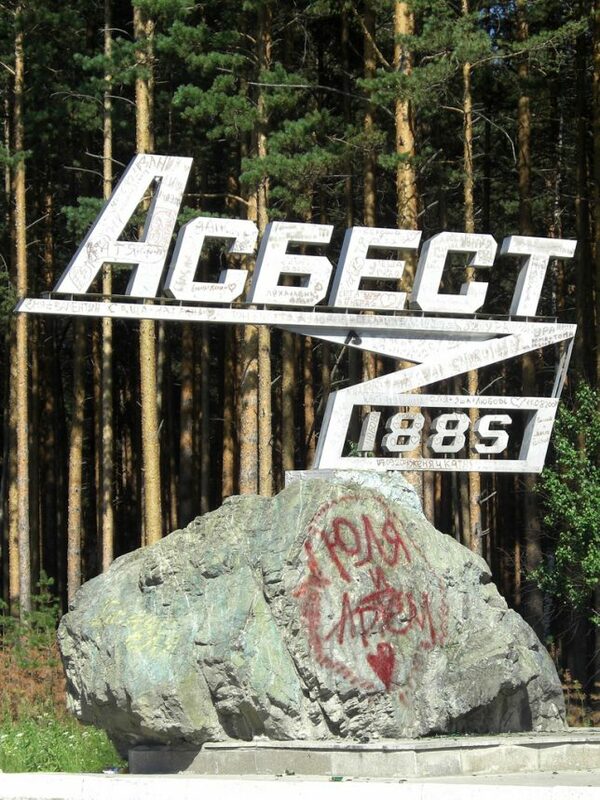 “Asbest is my town and destiny”, proclaims the ominously prophetic welcome sign for the mining town of Asbest, founded in 1885. If you haven’t guessed yet, they extract asbestos there from a mine half the size of Manhattan and 1,000 feet deep – how about that, Todd Hoffman? Asbest‘s population has dropped from over 84,000 in 1989 to about 69,000 in 2010… we’re not sure why *cough*.